Avenir Global, the Canadian owner of PR shops Madano, Axon and Cherry, has acquired London-based PR agency Hanover for an undisclosed sum. 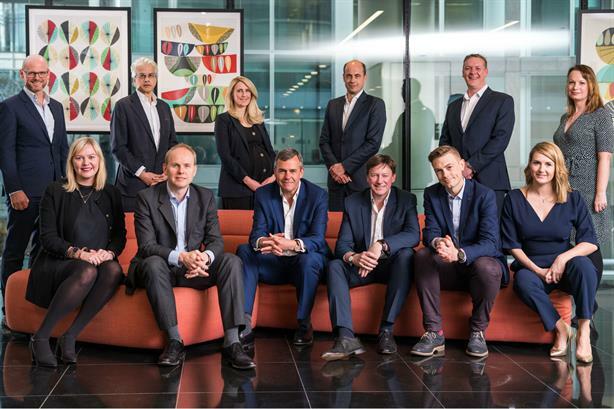 Avenir Global has taken a 100 per cent stake in the business, which was founded by John Major’s former comms director Charles Lewington in 1998 and currently employs 163 people, with revenue last year of £19m. Avenir Global said the transaction "is part of a strategic plan to build a global powerhouse of specialist communications". It follows the acquisition of London-based healthcare creative agency Cherry in November and US agency Padilla last summer. The acquisition means Montreal-based Avenir Global, which is owned by Res Publica Consulting Group, now employs 1,000 staff, with offices in 25 locations across Canada, the US, Europe and the Middle East. Annual revenue is £125m. Ralph Sutton, international managing partner at the business, told PRWeek Hanover is "one more important piece of the puzzle" as "we really want to strengthen our skills, strengthening our corporate and public affairs capabilities and also strengthening our geographic reach". "That’s where Hanover fitted in just beautifully. It’s a very nice fit." Hanover has offices in London, Brussels, Dublin, Dubai and Abu Dhabi, providing comms services across healthcare, financial services, technology, media, energy, FMCG, industrial and sport. The group also includes creative comms agency The Playbook, and Multiple, a brand and culture consultancy. Lewington, who has now joined the Avenir Global board, told PRWeek: "We were increasingly pitching for global accounts, but without a presence in North America, where half of all PR spend comes from. We were finding it a bit of a challenge to get on global rosters, particularly in healthcare, which represents 35 per cent of our group revenues. We’ve done quite well growing our horizontal service lines into corporate consumer and internal comms, but many still eluded us. "When we first started talking to Ralph and his colleagues a year ago now we realised pretty quickly that there was a strong cultural fit and the power of a good culture and a good strategy is really the driver of our successful consultancy. "We certainly didn’t want to sell our soul to a company that didn’t respect that. We were looking for a shareholder that didn’t have a share price – that was quite important - and who didn’t want to grow faster or be any more profitable than we currently are. The shareholder completely understands the value of specialism and the importance of long-term relationships. We’re a happy match." No more details were available about the transactions, including earn-outs for the senior Hanover team, although Lewington stated: "I, and the management team, have made a very long-term commitment to our new shareholder to build value." He said there are "virtually no client conflicts", although there are "complementary relationships with the clients in the healthcare sector". Sutton said Avenir, which also owns Canada’s National Public Relations and data-led agency Shift Communications, "definitely" envisages Hanover working with other Avenir agencies. Lewington said the opportunity to "buddy up" with Axon and Cherry to pitch for global healthcare accounts is "going to be really attractive to large pharmaceutical businesses". Working with different Avenir agencies on food and drink, energy and financial services could also be an option, he said. "I think there are a lot of areas where we can make music together." Asked about expansion at Hanover, Lewington said there were "huge opportunities" in the Middle East, adding: "We’re very much about building on our current growth plan, building revenues aggressively all around the business. I think the great thing about this deal is that we’ll be able to supercharge that, working with our new Canadian colleagues." Sutton added: "One of the great attractions of Hanover is that it’s been growing very quickly and it continues to have very ambitious growth plans." The agency has grown revenue 25 per cent per year over the past four years. Asked about further acquisitions, Sutton said "we’re always keeping our eyes open" but "the priority now is integration". Hanover Group clients include Goldman Sachs, Airbus, Microsoft, Apple, Warner Media, Sky, Lucozade, Ribena Suntory, Premier League, Tata Steel, Lilly, Novartis, BMS, Roche and Takeda. Hanover is the biggest of a handful of UK agencies that have sold to larger groups in recent months. Others have included US group Finn Partners buying London-based financial services comms specialist Moorgate Communications, Allison+Partners acquiring UK-headquartered OneChocolate, and Unlimited Group snapping up B2B marketing agency DirectionGroup, which was announced yesterday. London agency Lansons recently went the other way - buying a majority stake in New York strategic comms consultancy Intermarket. Sutton said the acquisitions of Hanover "does reflect a confidence that we have in the UK and the London communications market", despite Brexit. "The UK is still going to be very important - B-word or no B-word, or anything in between - because people come here for the talent rather than anything to do with the relationship with the EU." Lewington said Hanover is "very well de-risked" from the Brexit impact, given its offices in Brussels and Dublin, adding that it specialises in advising corporations during times of such change.